Take care of it, and it will take care of you. After you dip your toe in the cannabis market and buy a pre-roll every now and then and you're ready to go full fledged, the next step is to stock up on quality bud. And thanks to the saturated market, an ounce of weed has never been cheaper. But with so many options including vape cartridges, waxes, oils and tinctures, you may be in the situation I'm finding myself, where I'm unsure about the quality of my stockpiled flower. Or maybe you're reorganizing your jackets now that it's heating up and you find a baggie of stray bud. When does weed go bad? What's the best way to keep cannabis crisp? Unsurprisingly, maintaining the quality of flower is best in cold, dark locations with consistent temperatures. Much like food, mold can grow on cannabis in warmer temperatures (77 to 84 degrees Fahrenheit), and the precious terpenes and cannabinoids — which dictate not only your quality of high but also aromatic flavors — dry out when stored in a hot room. But the darkness of the room is also paramount for ensuring a well-maintained stock. A 1976 study at the University of London found that ultraviolet damage was far and away the biggest culprit of cannabinoid degradation. The study also found that well-stored bud can keep its cannabinoid profile for up to two years and only showed mild deterioration afterwards. So once you find the proper location in your space, it's time to think about containers. Regardless of the packaging your bud came in, for the love of god, please stop using baggies. There is an allure in differentiating the notes of a strain just like there is a glass of premium wine, but that value is lost if your living room smells like Barter Faire. Not only does it mean your flower is in danger of damage and ending up as mere shake, but that smell means both potency and moisture is leaving the bud. 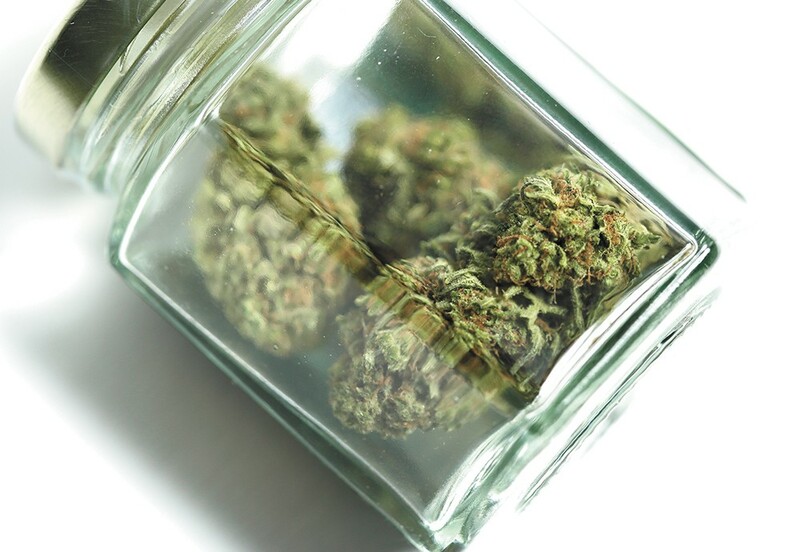 Glass jars are the ideal storage for your supply, with the ability of moisture retention as well as not influencing the flavor of the pot. But it's important to note the size of your container. Obviously, you don't want to jam your goods into a jar to make it fit, but be aware that having too much space in a jar for your weed will result in trapped air that will inevitably dry it out. The original print version of this article was headlined "Cold, Dark Places"